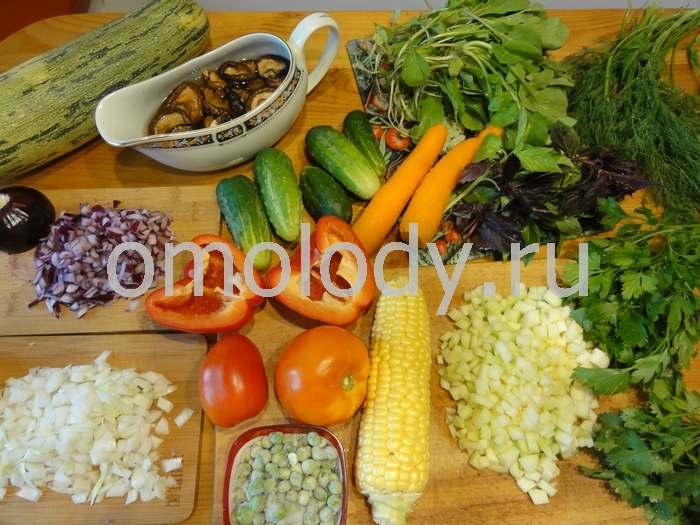 Mushroom Salad with vegetables. Russian cooking. 750 g cabbage, cored and shredded. 1. Bring to boil the oil. 2. Add grated carrot. Simmer 10 - 15 minutes. 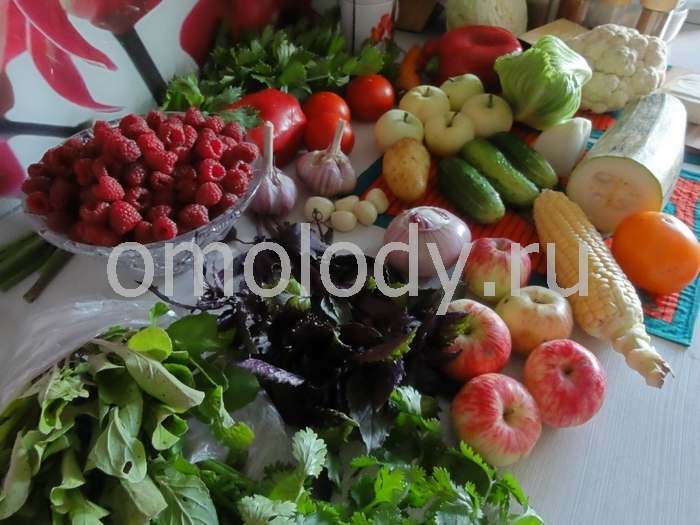 Add remained vegetables. Simmer 40 - 50 minutes. 3. Add salt, sugar, bay leaf, vinegar and mix. 4. Simmer 5 - 10 minutes. 5. 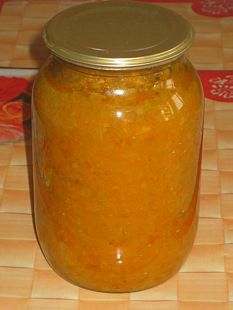 Ladle hot vegetables into hot sterilized jars, pack the mixture. Seal.